I’ve conquered another color on my mighty rainbow blanket! 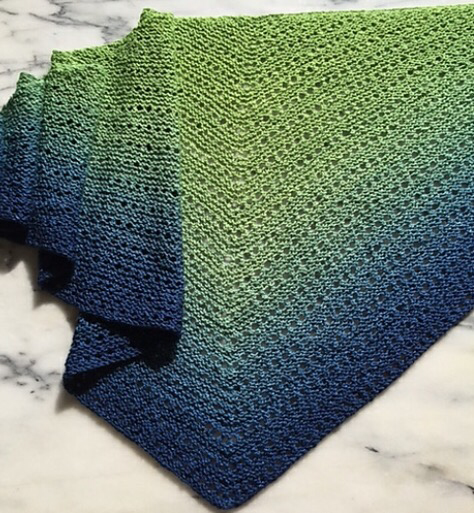 This new green color is called Macaw and it’s just so rich and bright! I usually hate blankets but I’m finding this one very meditative. 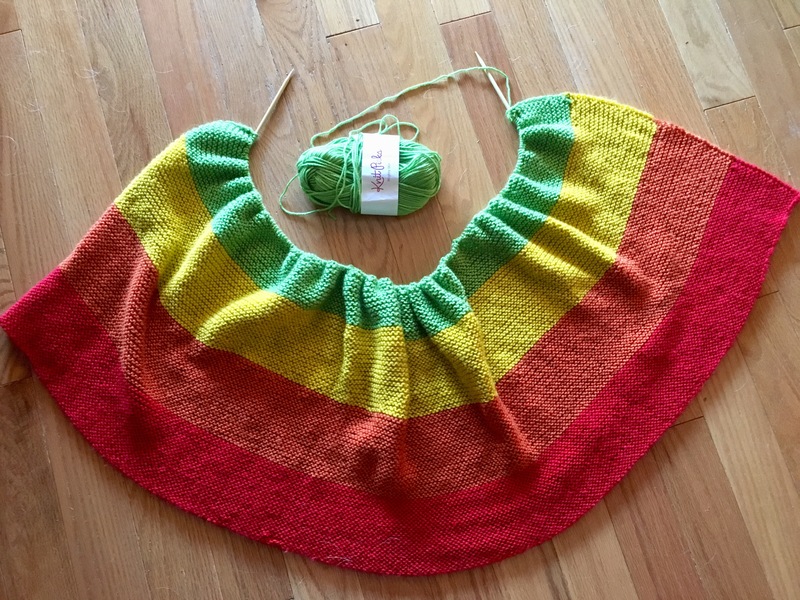 When I finish this stripe I will be halfway done. I also keep looking in my project bag and peaking at the upcoming colors in delight. Still to come are rich blues and vibrant purples, be still my heart! My Mutatis Mutanois socks had been languishing at the bottom of my bag. I know I have a lot of WIPs going but I usually happily bounce between all of them. I just didn’t feel a draw towards these. 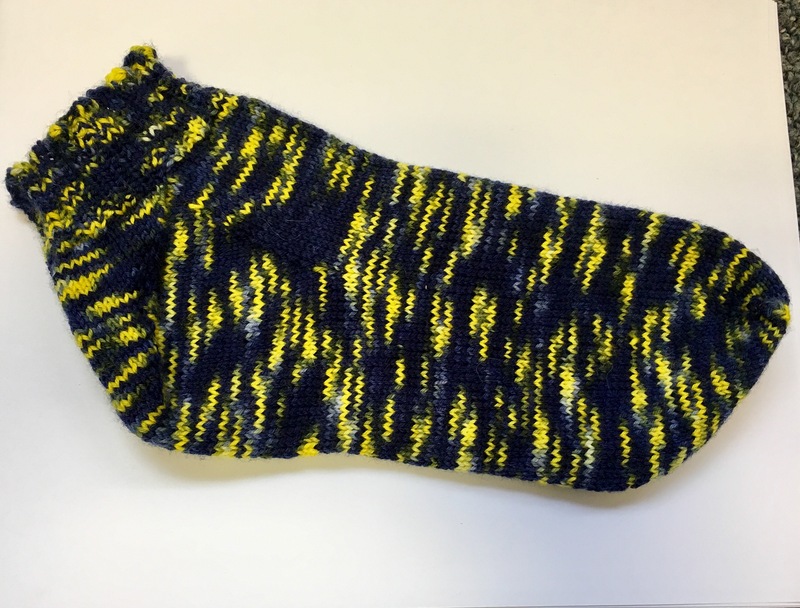 The foot of sock number one was almost done. 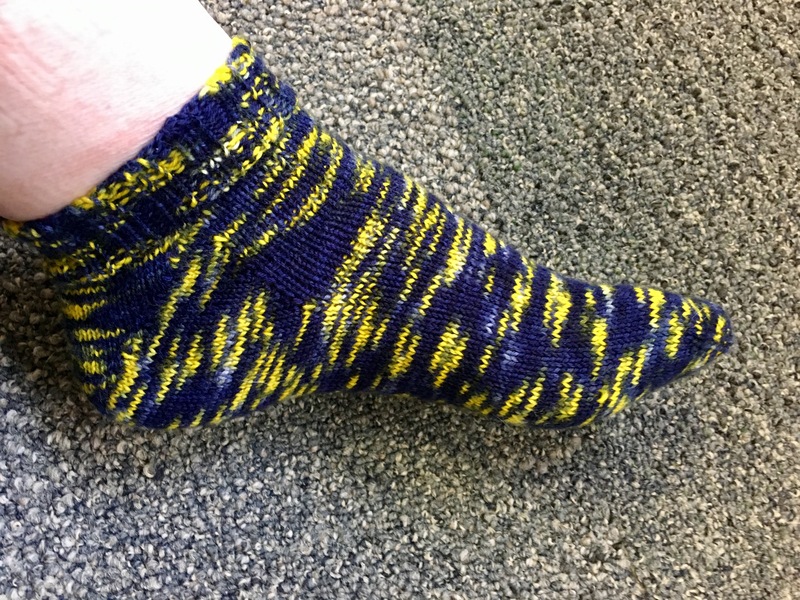 I decided life was to short to knit what doesn’t inspire so these socks became shorties. And viola the motivation to work on them reappeared! 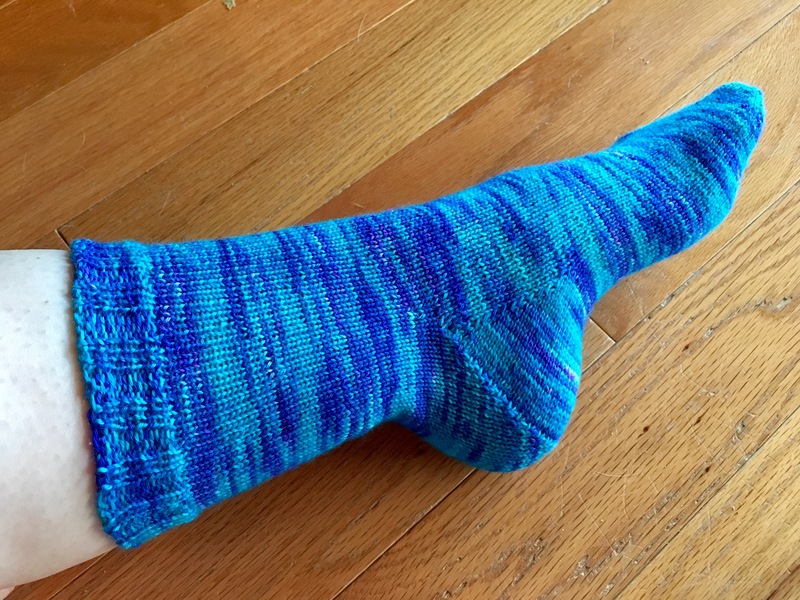 I worked a gusset heel for toe up socks (from Wendy D Johnson’s free pattern) and did some a little rubbing before casting off. They could stand to be slightly taller but they stay up just fine as is. 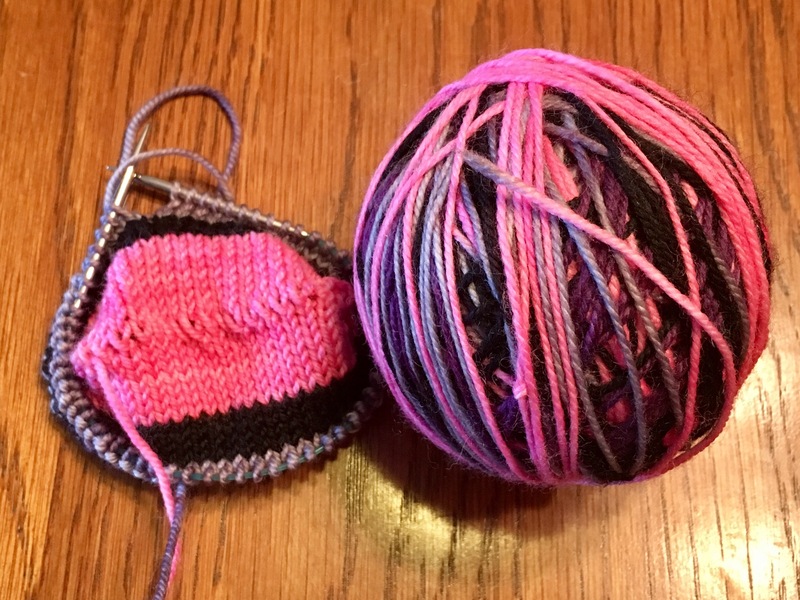 I did get some minor color pooling in the gusset but I’m not too fussy about such things. The sock fits well so I’m powering through sock #2! I’m hoping the long holiday weekend in the US will afford me some extra Knitting time! 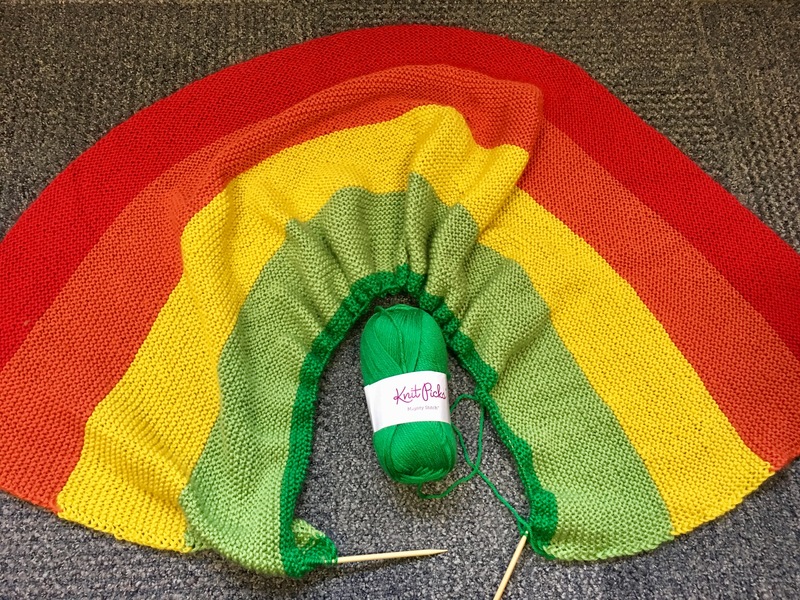 Just a quick project to update you on my Might Rainbow Blanket! I’m sooooooo close to finishing the first green section. 8 more garter ridges and I can move on to dark green! Must keep knitting!! My purse project is growing! I have a sock HO! (That’s a half finished object.) 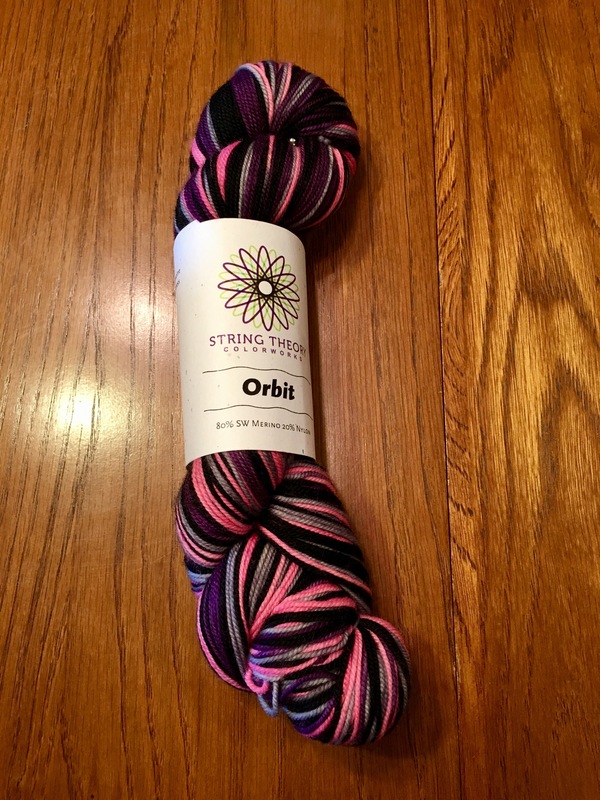 I’m obsessed with these colors and therefore this is seeing a lot of knitting time. 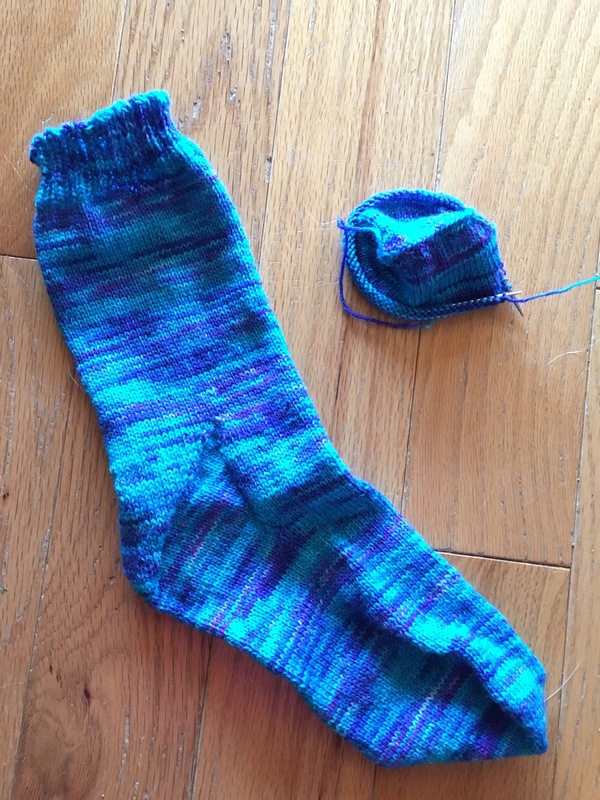 I turned the heel while Jellybean was playing with Papa and I finished the leg while watching Dr Strange with the husband. I Love multitasking! Fits quite nicely if I do say myself! Happy Knitting! 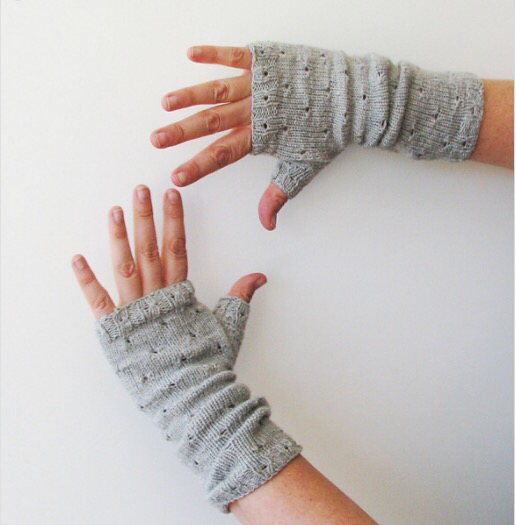 Have you seen the Gift Along concept bouncing around Ravelry and social media? I had seen it in years past but honestly didn’t give it much attention. 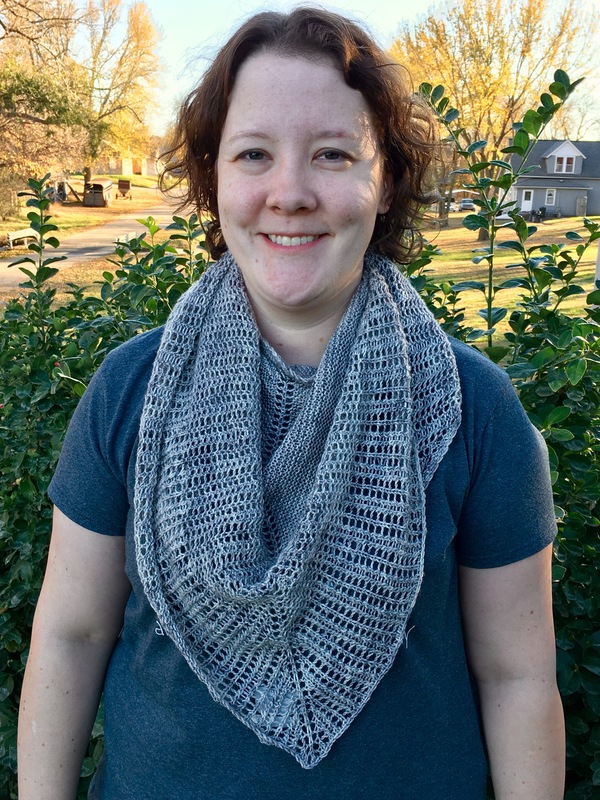 It’s where indie designers team up to feature their patterns around the holidays to help with Holiday Knitting ideas as well as support each other for obtaining a greater audience. I may not get these knit by Christmas but I’m certainly glad to have them in my library. And I’m glad to support an indie designer with such beautiful design sense. Win win! Ps. Several of these indies are doing KALs with prizes! 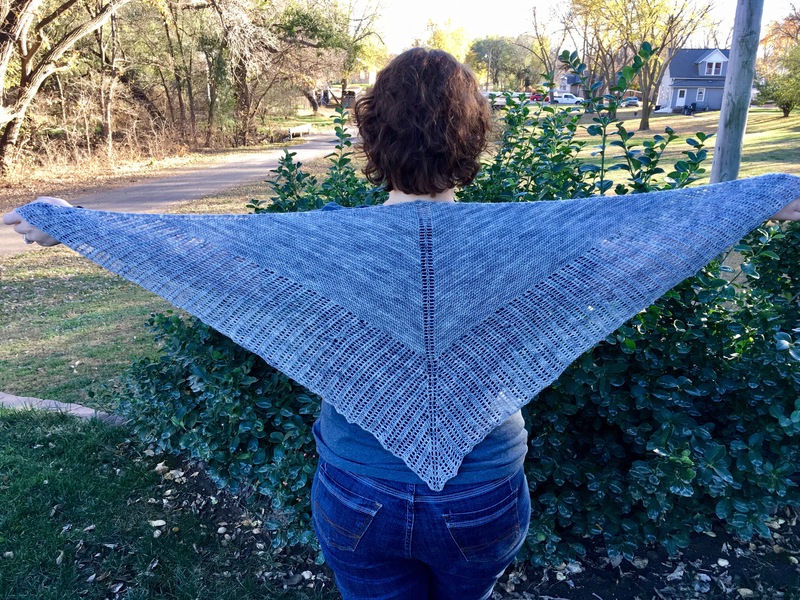 I showed you my FO yesterday but I forgot to include my amazement over the blocking!! It never ceases to amaze me how much lace grows and opens up. It must be sorcery!! 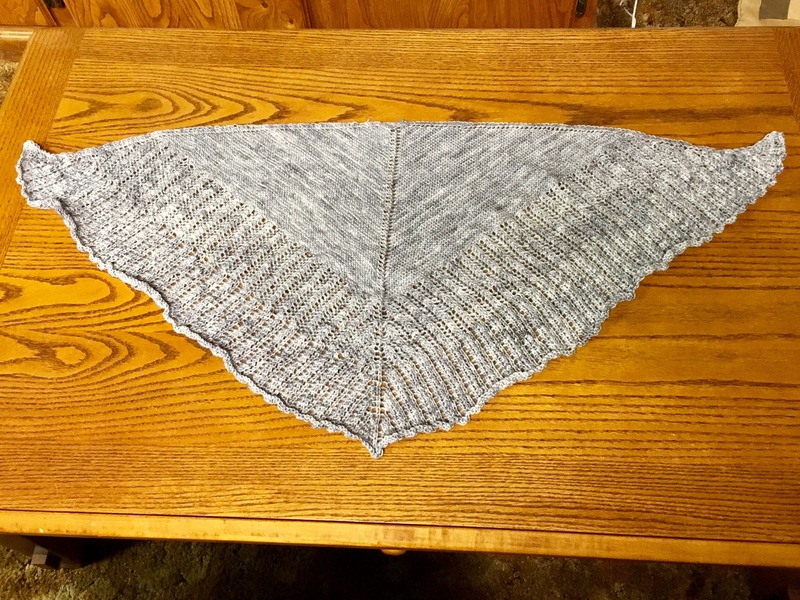 Drum roll…my Old Man of Storr is done! 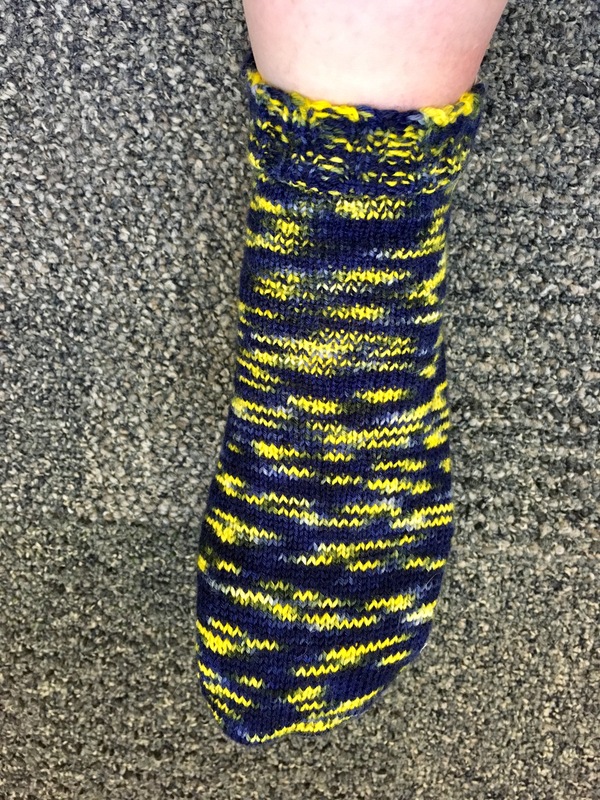 I used this pattern and I used Treasure Goddess Yarn in Super Toes Cashmere base in the Pieces of Eight color. It used up 510 yards of yarn or roughly 127 grams. And I knit using a size 4 needle. It’s 60 inches across and 28 inches deep. The lace isn’t perfect but for my first attempt I’m overjoyed! And to top it all off it was my 2016 Mother’s Day cast on, so I’ll always have that cozy memory when I wrap up in this! 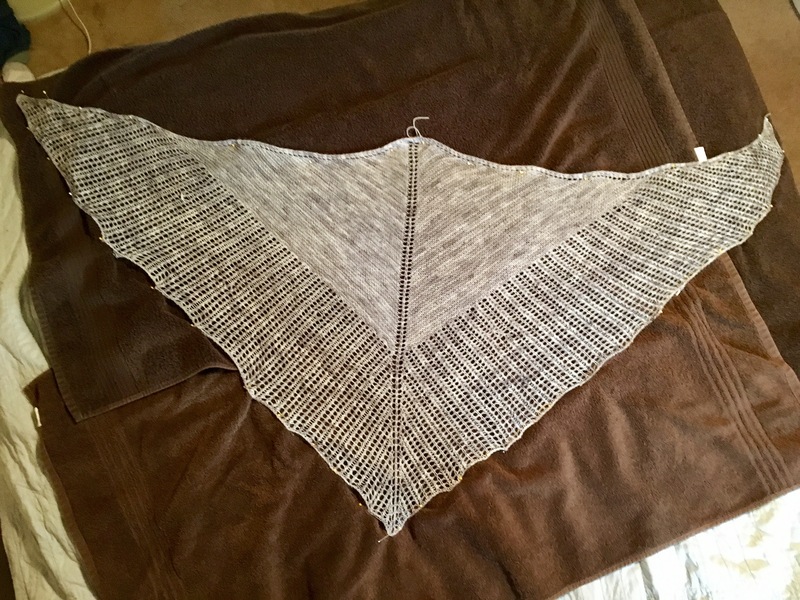 I even managed to turn this in for WIP points in the Down Cellar Studio Pigskin Party KAL! Insert happy dance here…. 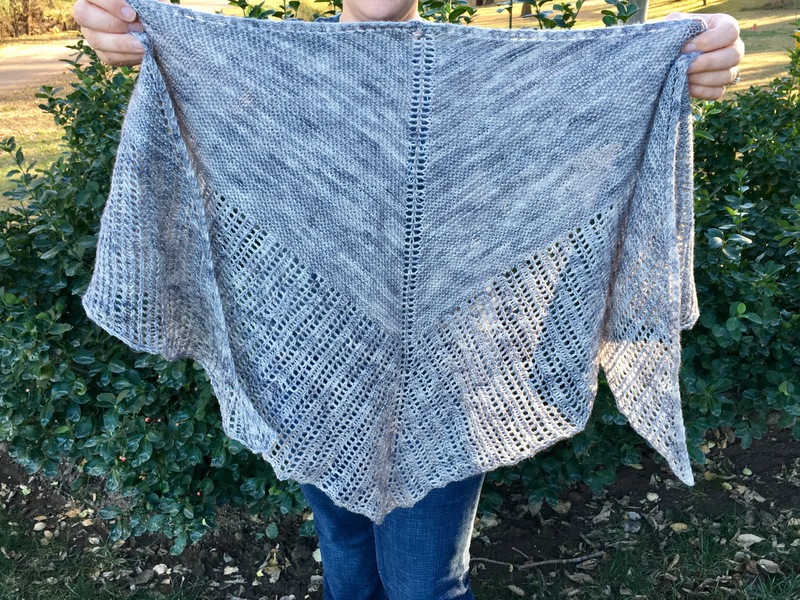 I’ve been listening to the Kino Knits podcast for some time now. Mary does a fantastic job with content and her voice is soothing to me. 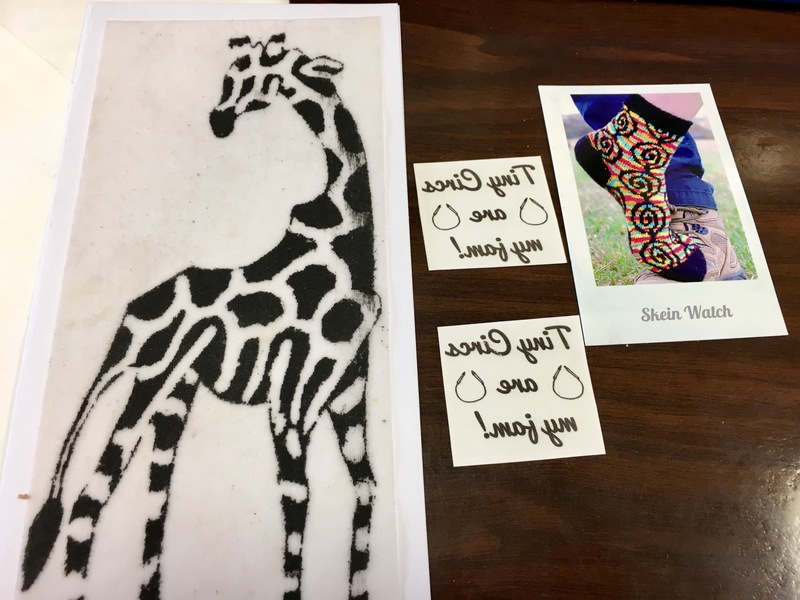 In a recent episode she discussed her 2016 Rhinebeck trip and how she handed out temporary tattoos to sock knitters. I think she had DPNs, magic loop, and tiny circs. She made the comment that she had several left over, especially the tiny circs, and would mail them out to people if they messages her. I kinda jumped on that! I love my tiny circs. And a couple days later this wonderful card arrived in the mail! It still astounds me that another knitter who has a podcast and a household to take care of took the time to send me this sweet package. Knitters really are the best people!